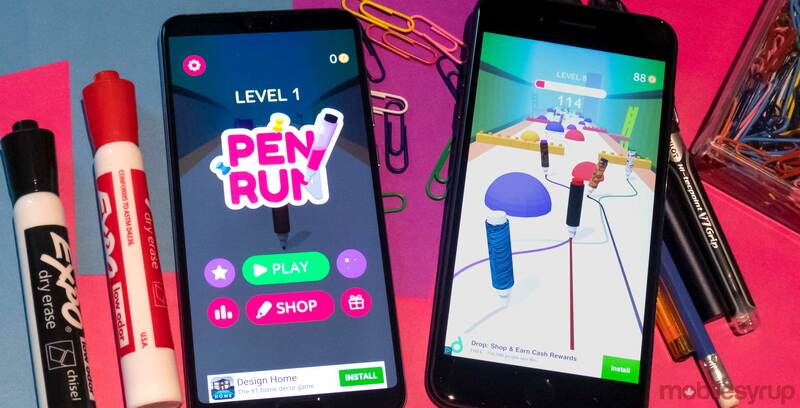 Ubisoft-owned mobile game studio Ketchapp Games has released a game called Pen Run that’s part racing game, part obstacle course and a ton of fun. Players take control of a red marker that’s dropped into an obstacle course. Racers need to maneuver through the course while knocking over other pens and markers to gain points. Controlling the marker is simple. Just drag your finger from one side of the screen to the other to move the pen to the left and right. It’s hard to describe, but moving the marker more forcefully makes it run faster so you can catch up to the other markers. Overall, the game is enjoyable and hitting an obstacle and starting over doesn’t feel like the end of the world. Since matches are so short restarting isn’t a setback. The only real issue is the large number of ads that the game throws at you. Every time your marker topples over, or you complete a race you have to watch an ad. This can be remedied with a one-time payment of $3.99 on iOS, but there is no way to get rid of them on Android. 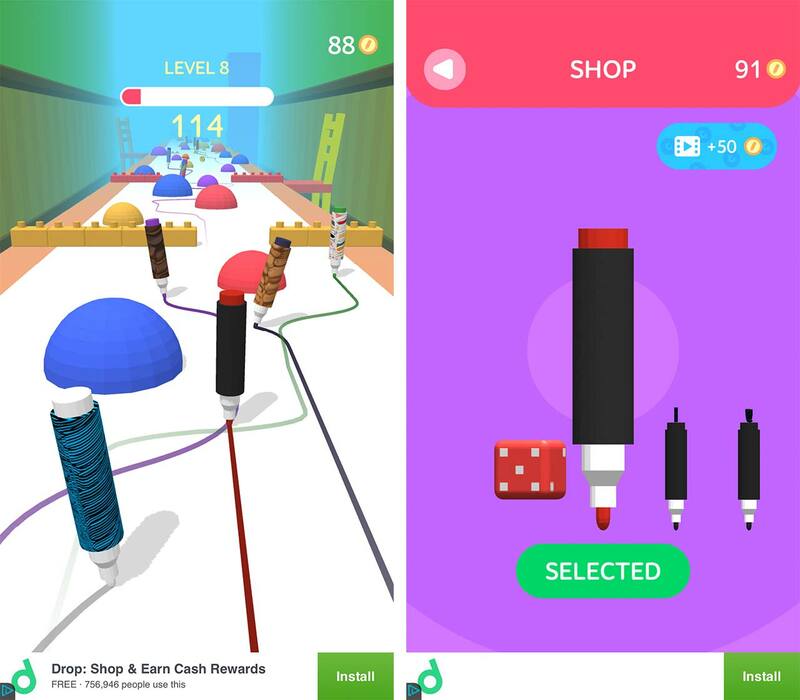 You can Download Pen Run for free on iOS and Android.